Flexible packaging continues its stellar growth in the industry and topping the popularity charts amongst the manufacturers and consumers alike. There are several important factors that have contributed to the ever rising popularity of flexible packaging since it first hit the market. 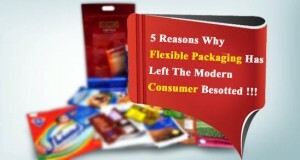 Flexible packaging production requires less materials and less energy than other types of packaging. Being light in weight it adds less weight to the packaged product and has a high product to package ratio. At the time of transportation, the light weight aspect plays a major role in cutting costs and reduction of carbon footprint, thereby being a comparatively sustainable option when compared to rigid packaging. Flexible packaging provides significant reduction in costs; raw materials used and transport costs besides offering several performance advantages over rigid packaging. Use of flexible packaging can significantly minimize package transport costs between the converter, packer/filler, retailer and end user. Not only do flexible packs take up less space when empty as compared to rigid containers, but can also be formed on the spot from roll materials at the filling location, thereby economizing transportation of ready-formed empty packaging. Post consumer waste can be re-processed further contributing to the circular economy. Materials like BOPET, BOPP, EVOH and PA have been demonstrating high growth owing to their barrier properties. Almost all brands demand packaging that ensures longer shelf life and greater protection for their produce.Protection from contamination and deterioration throughout its shelf life is also an integral part of flexible packaging.Intelligent packaging is designed to be able to detect food contamination and change of color incase the food is not fit for consumption by the consumer. Scientifically, barrier properties play a pivotal role in determining the effectiveness of any pack. This form of packaging provides the liberty to mould it into unique sizes and shapes. The usage of flexible packaging is vast and versatile, unlike other packaging formats that cater to a limited set of products or a niche segment. This form of packaging also enables a printable surface so that brands are able to determine how much of the product to showcase, while maintaining brand impact. Flexible packaging happens to be the only source that has a high standard of functionality and sustainability making it perfect for the on-the-go consumers. Flexible packaging today offers a variety of packaging options that has shrink sleeves, re-sealable/ re-closable option, zip pouches, stand up pouches etc which are highly functional and convenient for today’s consumers. Sustainable ideas and environment friendly packaging occupy a mammoth concern for the flexible packaging companies across the world. 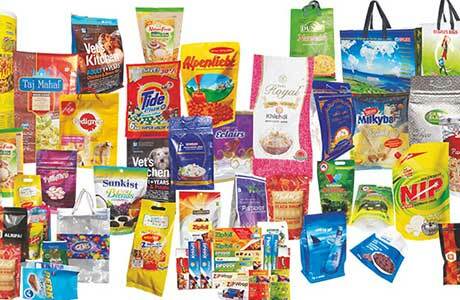 Much of flexible packaging’s sustainability comes from the fact that it has reduced materials usage and lighter weight. There is less wastage and less use of energy and water at the manufacturing level. 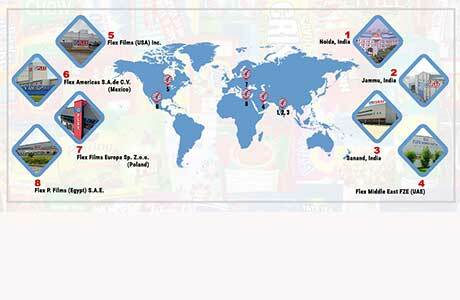 India’s largest flexible packaging company Uflex Ltd. has been a pioneer in setting benchmarks for delivering innovative packaging concepts that ensure safety and viability of the packaged product through its life cycle. Uflex offers technologically superior packaging solutions for a wide variety of products such as snack foods, candy and confectionery, sugar, rice & other cereals, beverages, tea & coffee, dessert mixes, noodles, wheat flour, soaps and detergents, shampoos & conditioners, vegetable oil, spices, marinates & pastes, cheese & dairy products, frozen food, sea food, meat, anti-fog, pet food, pharmaceuticals, contraceptives, garden fertilizers and plant nutrients, motor oil and lubricants, automotive and engineering components etc.Some of Uflex’s clients on the global turf include P&G, PepsiCo; Tata Global; Mondelez, L’ Oreal, Britannia, Haldiram’s, Amul, Kimberly Clark, Ferro Rocher, Perfetti, GSK, Nestle, Agrotech Foods, Coca Cola, Wrigley, Johnson & Johnson among others. Does your food packaging grab consumers? 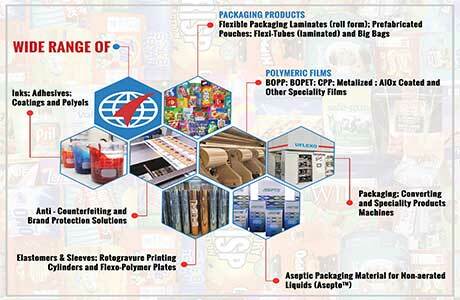 First Impression is the last impression and this is what forms the basic rule for packaging industries. Besides ensuring the packaging to be safe and hygienic, packing department necessarily has to spend time, money and energy in designing the packaging of the product. It is because packaging is often the consumer’s first point of contact. The more attractive the package, better are the chances of it flying off the shelf into the shopping basket. 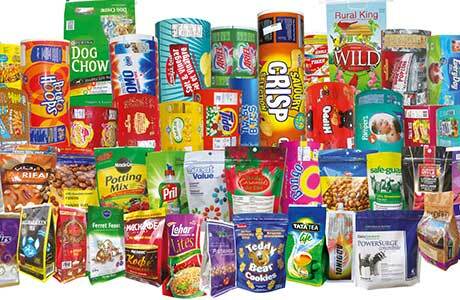 The packaging becomes more important in case of food and beverages market. In case of packaged food, the packaging should not only be designed to attract the consumer but should also be able to specify the nutritional value of the food product. Consumers are constantly evolving to reflect societal values, likes and dislikes. Owing to the wide spread of internet and awareness, consumers are growing more health conscious and search for products that provide nutritional benefits. They seek packages that include food quality and safety, freshness and information rather than specific retailer and manufacturer driven benefits. Therefore, with so many nutritional and added-value food and beverage products entering the market, packaging has to be both eye-catching and adequately reflect health benefits. The first thing in packaging that attracts the consumers is the color. The food packaging must necessarily take colors in the context of the product’s marketing goals. Hence, we can see children’s cereal packaging has many bright colors that attract their eyes; health-focused cereals will have more whites and pastels to project a softer, more adult image. Second is the design of the packaging. Along with colors, design can have noticeable effect on consumer behavior. Therefore, the food packaging should feature a design that makes it easier to eat. Third is the sustainability of the packaging. The role of packaging is not limited to attract the consumer but extends to protect the food items inside. Protection from contamination and deterioration throughout its shelf life is also an integral part of good packaging. Therefore, packaging that is innovative, flexible and eco-friendly tends to create an appeal amongst the consumers. Uflex Ltd., India’s largest flexible packaging company has been offering amongst others, the food packaging solutions for more than two decades now. 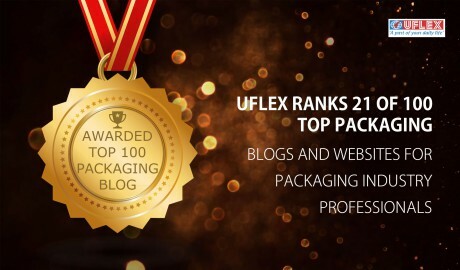 Keeping up with the times and the dynamics of the packaging industry Uflex has been a pioneer in setting benchmarks for delivering innovative packaging concepts and to ensure the safety and viability of the packaged food in its life cycle. Flexible packaging at Uflex is known for excellent chemical resistance, strength, protection against moisture and odour and dimensional stability. Its innovations in packaging enable food retailers to better protect the quality of the products, while expanding the range of marketing possibilities. Sustainability is fast gaining favours among companies, with consumers increasingly looking to buy products that are ‘green’. A recent report highlighted the growing trend of sustainable packaging in growing markets of China and India. The cause is attributed to a growing middle class who is aware of health and environmental issues of flexible packaging. It is forecasted that by 2018, Asia will become the largest market for sustainable packaging in the world accounting for 32% of the overall market share. In the same year consumer demand, technological advancement will push sustainable packaging to a $244 billion mark. Bioplastics have been playing an integral role in company’s sustainability drive over the past couple of years and these materials will be more and more commonly available as we further head into the new millennium. The global production of bioplastics is tipped to increase from 1.2 million tonnes in 2011 to 5.8 million tonnes by 2016. The approach towards sustainability also offers a competitive business advantage that manufacturers should keep in mind. Good environmental performance and business value can work in tandem, and this is all the more relevant in today’s time. In addition to clear business advantage, sustainable packaging offers exploring innovative options both for the flexible packaging manufacturer and the FMCG industry. It is important that both the sectors work together to employ a number of innovative approach to improve sustainability of their products like recycling and reprocessing infrastructure, using optimum packaging, producing packaging from bio-based materials. Packaging companies in India like the Uflex Ltd., which is India’s largest flexible package provider, has always been committed towards sustainable options of flexible packaging. Being on the edge of innovation they provide packaging that keeps the products safe, fresh and devoid of any harmful reactions. With the constant R&D for safer and environment friendly packaging, the company is dedicated to bring safer, better and sustainable packaging solutions. Uflex products are high on sustainability which is important in packaging as the product is very close to the consumer and is usually assumed as a waste. Uflex believes that wherever possible all flexible packaging waste should be re-cycled or reprocessed in the same industry or alternative applications. 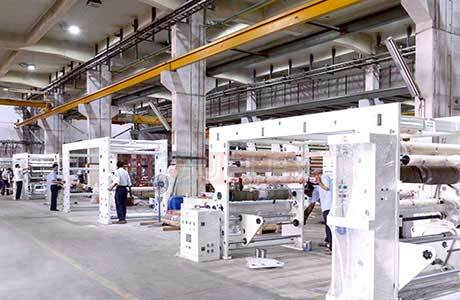 Their Green pet and rPET techniques ensure that the plastic is manufactured in an environment friendly manner without compromising on the quality of the product and the recycling and reprocessing of the plastic waste is done in a safe and non hazardous manner. In its new role, sustainability is a way for the company to provide a platform to the consumers that allows them to feel like they have made a difference, to have done something that they might not have been able to achieve on their own and feel good about the purchase.